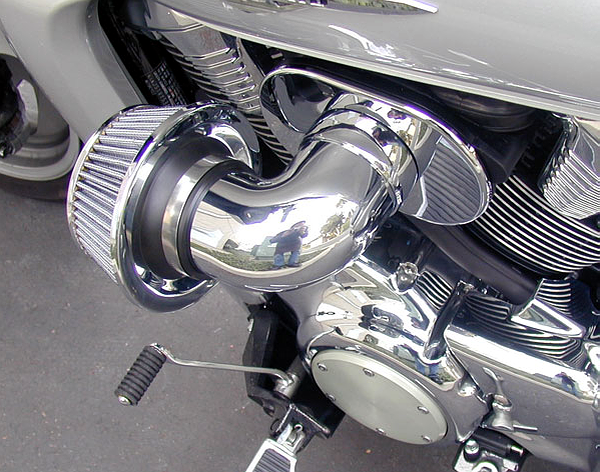 This radical new Stage-3 cone-style UltraFlow Airkit was designed specifically for the Suzuki M109R and it’s BADASS! 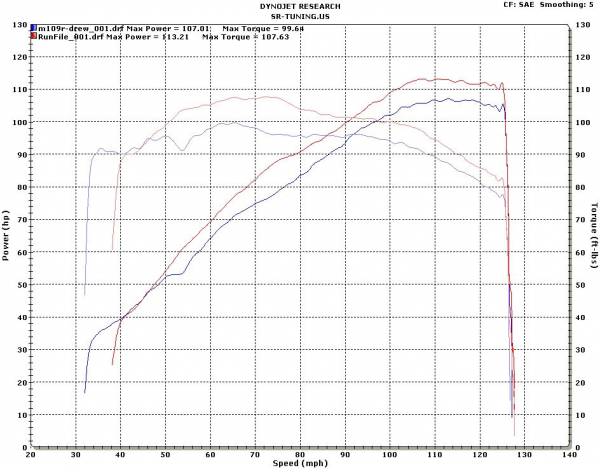 This kit is easy to install and flows dramatically more air than the stock airboxes. The “ram-air” configuration offers slightly more air-flow capacity than our original Stage-2 design and a lot more “in-your-face” styling. This air-kit is a real attention getter and it will definitely let people know that your bike has a brutally powerful engine. All the beautifully chromed parts really jump out and the spikes we put inside the forward face of the air-filters makes them look like small turbine engines. It’s really very very cool! 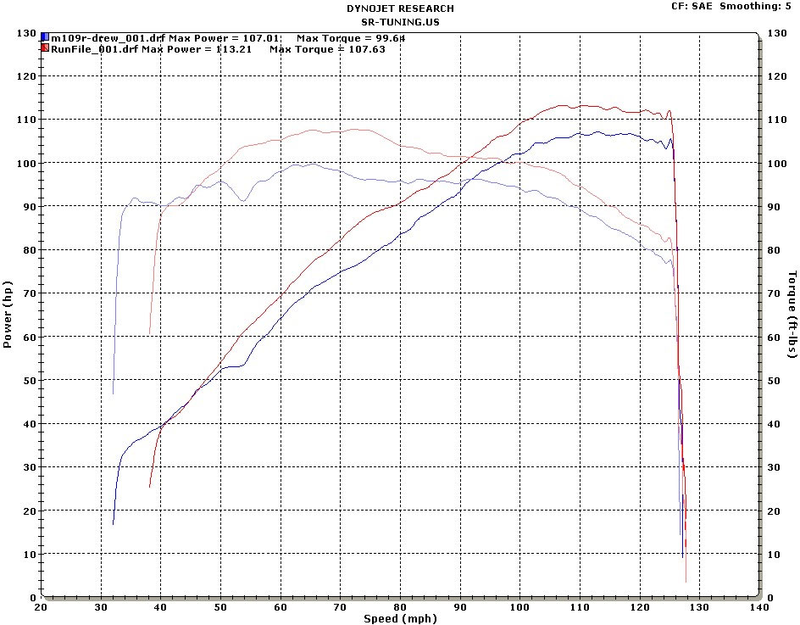 Two new Spectre Performance air filters with internal spikes. Left and right side UltraFlow airboxes cast in high temperature plastic. Not including the ram air effect generated at higher speeds, the Stage-3 UltraFlow is capable of moving over 200% more air than stock! 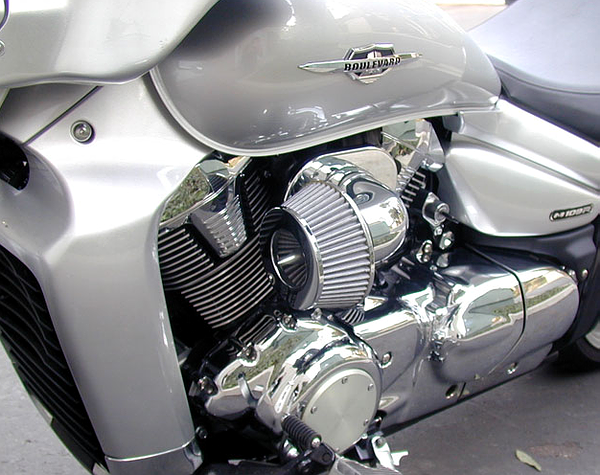 Your powerful M109R engine will never be short of breath again! This product is now available. Please allow up to 2-3 weeks for shipping as these are custom made to order. They are in high demand and we cant always keep extras in stock although we try to as often as possible.